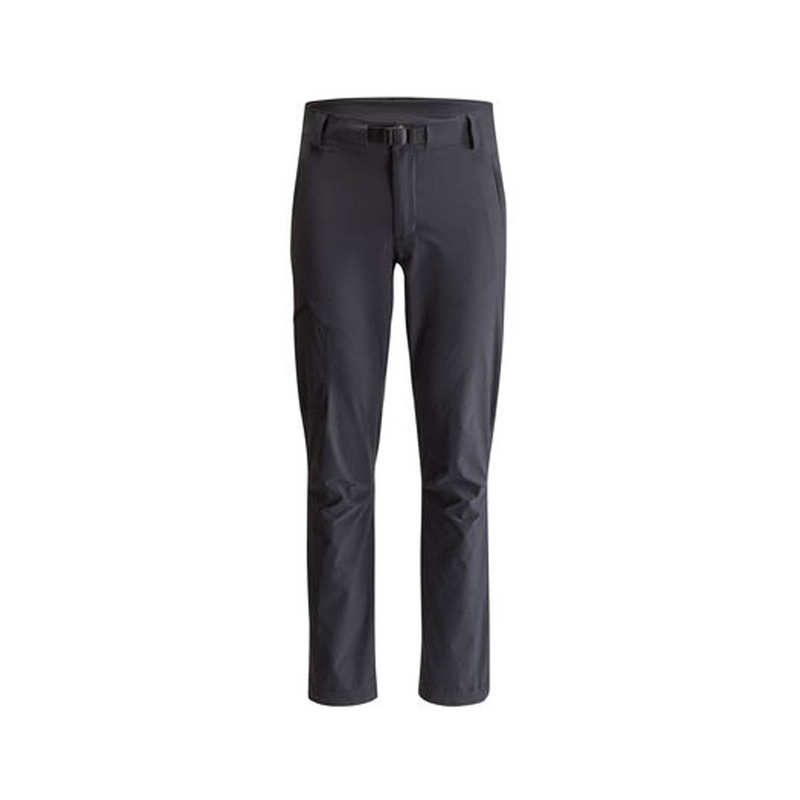 The Black Diamond Alpine Pants are a hard-wearing alpine pant with superior durability and do-it-all functionality for spring and fall climbing and mountaineering missions. Sustainably Bluesign® certified, the Black Diamond Alpine Pants add increased breathability and a water-repellent DWR finish that’s tough enough for year-round use but will provide the perfect amount of warmth for your spring and fall alpine missions. The DWR is an ultra-thin, water-resistant treatment that repels light rain and snow and decreases drying times. The DWR coating creates tiny hairs on the surface of a fabric that encourage water to bead up and roll off the material rather than soak through. Although the DWR is not permanent and will wear off from exposure to dirt and general wear and tear, it can be easily restored. Bluesign® is an international standard for fabric production which ensures that stringent environmental, safety, and efficiency standards are met by any fabric bearing its logo. Bluesign® fabrics use fewer chemicals, less water, safer processes, and highly efficient manufacturing techniques to ensure that the creation of your new jacket, rope, or backpack doesn’t destroy the world you use it in. Ergonomic patterning for effective and unlimited range of motion without excess material or bagging.